Comfort inside your boots depends on the quality of your sock. Thats why the Oneal Pro MX Crossbones Motocross Socks have been developed to keep your feet comfortable and dry no matter how hard you ride. Get your motocross socks from GhostBikes today! Ghost Bikes now stock a full range of Oneal Motocross Clothing Please click here to see what's currently available. 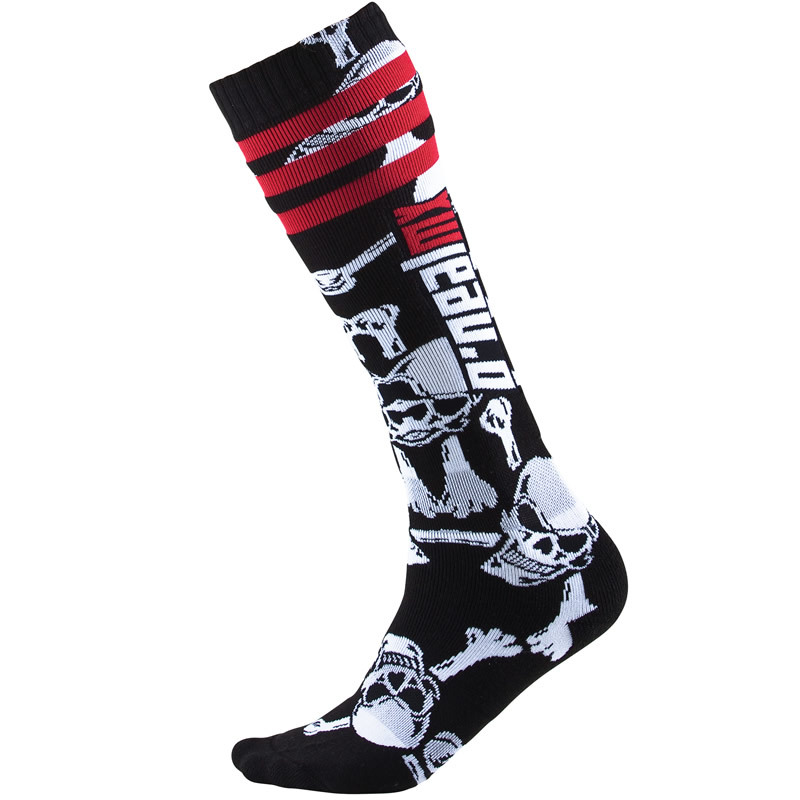 The Oneal Pro MX Crossbones Socks - One Size are packed with features.. The Oneal Pro MX Crossbones Motocross Socks are currently available in the colours shown in the images above.